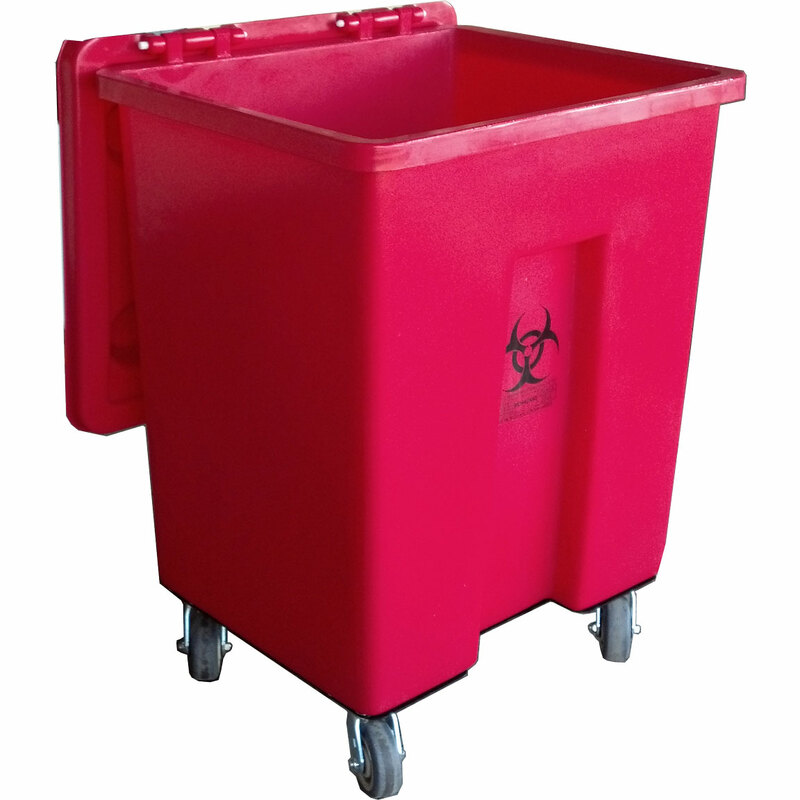 The MW Series MW-100 100 Gallon Regulated Medical Waste Cart is a reusable regulated medical waste transport cart. Seamlessly molded polyethylene will not crack, dent or rust, offering heavy-duty, leak-proof carts for safe and efficient transport of medical, biohazard and infectious waste. Dot and packaging group ii compliant. Ships fully assembled and ready for immediate use. Features double-bottom containment base with independent dolly and lid. Parts easy to replace on-site as needed. Heavy-duty, 5 x 2" casters for ease of maneuverability and efficient use by single operator. Designed and engineered to fit through 32" doors. Stack two or three high for storage and transport with pallet jack and fork-lift access. Compatible with most tilt, dump and sterilization systems. Customization options include hot-stamps, permanent PE decals, branding and colors, caster selection, reinforced dollies, etc. Industry leading, world-class product line used by federal government, military, leading public and private hospitals, national, regional and local RMW transporters and processors with extensive and proven track-record of nearly four decades. Also referred to as medical waste, hazardous waste transporters. One-hundred-gallon model. Outer Dimensions (OD) (LxWxH) 31 x 25.5 x 45.5"
Inner Dimensions (ID) (LxWxH) 27 x 23.5 x 38"